It looks like a bad parody of the California state flag. I agree. I don’t understand why the beaver is facing away from the star. 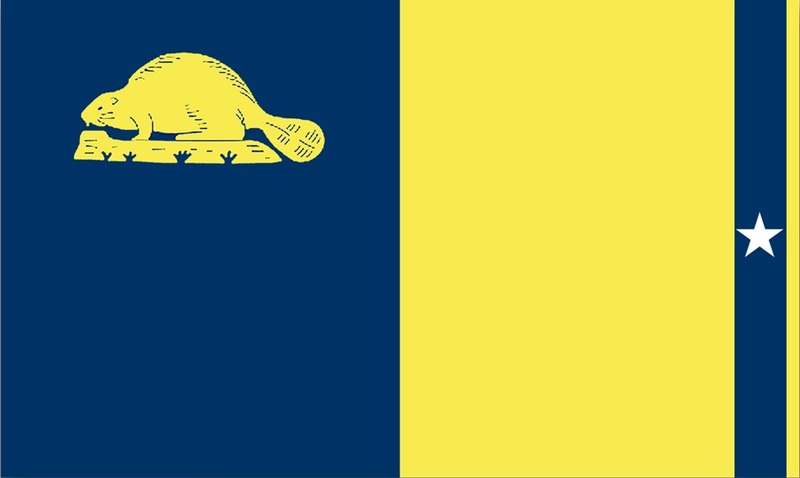 The bear on California’s flag is walking towards (or at least along with) the star. I think if the flag is redesigned it should represent something of the Oregon trail and still include the date. I once saw a flag proposal that had a covered wagon on it. It was too literal and didn’t look very good, but I do like the idea of a reference to the Oregon trail (even if it’s a very abstract reference). I like the flag except for the blue stripe and star on the right. Keep it simple. Remove those and you have a great, distinguished flag. No words or dates; leave that for militias. Ouch. Though I respect Mr. Norquist’s initiative, his design is pretty weak. My proposal features a blue field with a gold beaver in the canton. Two horizontal yellow stripes near the bottom represent the Oregon Trail and break up the somewhat monotonous blue background. 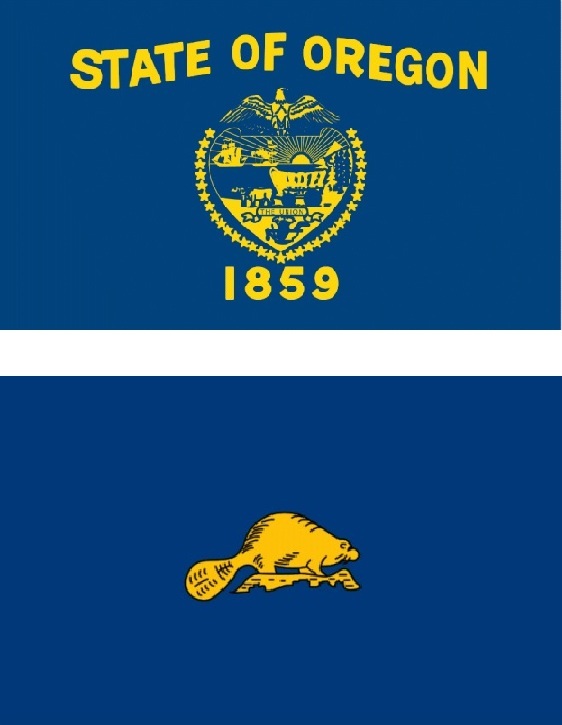 I do not agree that a date should be included on a new Oregon flag, or any flag.